The Touring Car Masters will answer the call of local fans when they head to the Townsville 400 for the first time in July 2018. Confirmation of the series’ debut at the popular street circuit event in North Queensland comes as the series unveils a bumper eight-round calendar for next year, that includes a return to Tasmania for the first time since 2015. However, it is the addition of Townsville to the schedule that is likely to promote the most enthusiasm amongst fans and competitors alike. 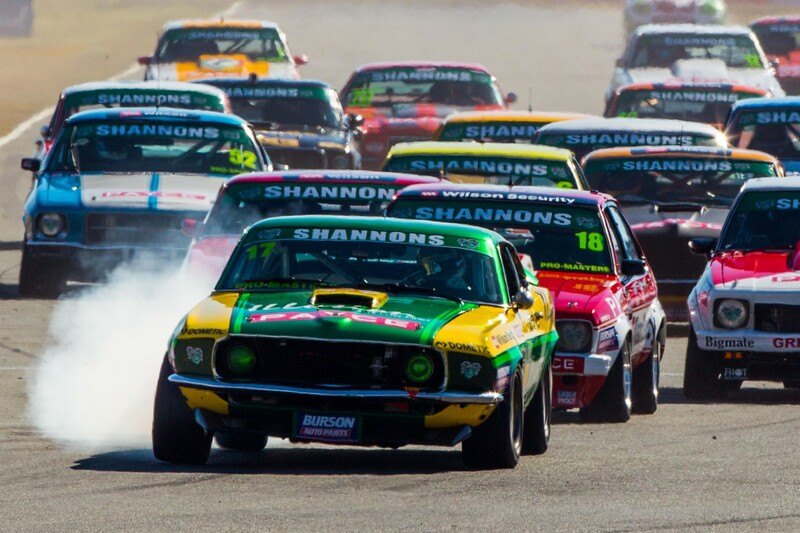 “It is fantastic Townsville will, for the first time, see the absolute classics of touring cars at the event for the 10th anniversary of North Queensland’s largest major event,” Supercars CEO James Warburton said. “Our fans in the north and right across the country have been calling for these amazing cars to race in Townsville for many years and their wish has been granted. “We thank TCM for being able to accommodate the WATPAC Townsville 400 in their schedule straight after their race in Darwin. “This is the first part of our plan to really celebrate a decade of racing and the hundreds of millions of dollars in economic benefit the race has brought to North Queensland. As well as several members of the TCM competitor base hailing from North Queensland, a significant local fan base has been established in recent years. A ‘Bring TCM to Townsville’ group was established several years ago on Facebook and has attracted more than 1500 people to support its cause. “There has been significant momentum generated in Queensland to see Touring Car Masters race in Townsville and we are proud to be finally making the trip for the first time in 2018,” TCM Category Manager Tony Hunter said. “The local fans have been very vocal and passionate about their support of the category and we’re looking forward to putting on a show for them next July. “There is a strong Muscle Car culture in the North and we think TCM can be a fantastic addition to the Townsville 400 Event. I know everyone is looking forward to making the trip. Townsville will mark the fifth of eight rounds scheduled for next year, with the TCM series once again kicking off at the Adelaide 500 for the 10th time in 11 years. A trip across Bass strait follows to round two, with home-town hero John Bowe set to enjoy competition on his home circuit at Symmons Plains. Round three will see the regular and popular visit to country Victoria for the Winton SuperSprint, while the sunshine of Darwin beckons competitors to the Top End for the fourth round. After Townsville, the Wilson Security Sandown 500, Supercheap Auto Bathurst 1000 and the Coates Hire Newcastle 500 complete a bumper year.